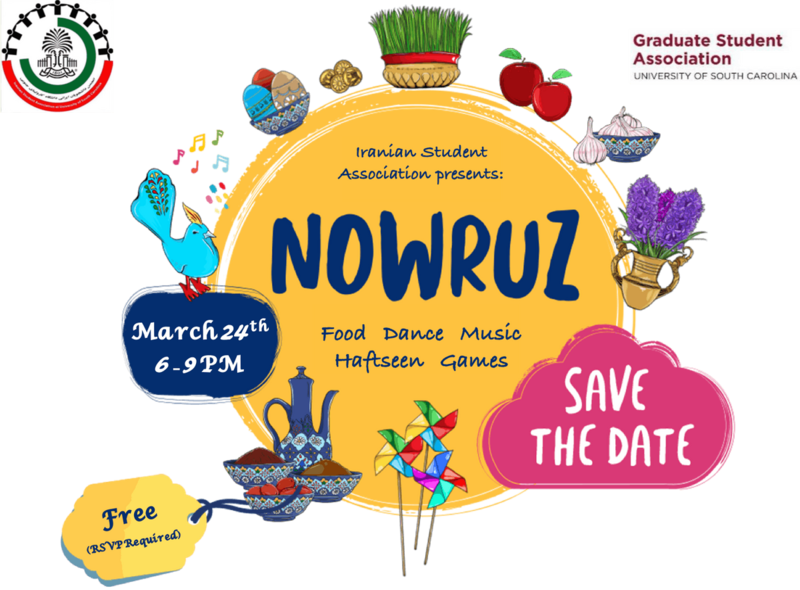 Nowruz is here! It is time to cherish the Persians 3000 year old tradition. Come celebrate our Persian New Year, Nowruz 1398, with us! Join us at the Russell House Ballroom, Sunday, March 24th, from 6:00-9:00 pm . 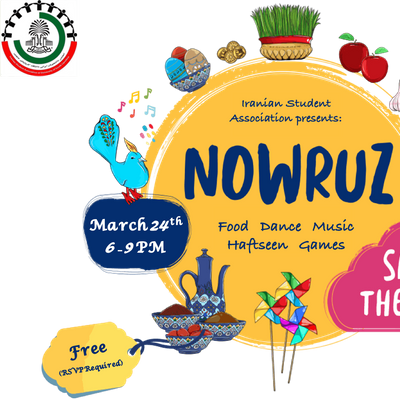 This event, hosted by the Iranian Students Association, includes a DJ and live music to dance and Persian delicacies and cultural performances. Please note that each person (email) can only register for two tickets.